If you are like me, you’re always on the lookout for items that are unique and different. 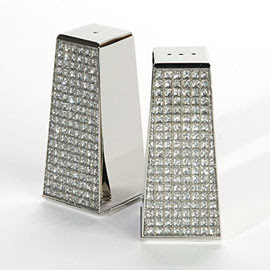 That little something that will add flair to your wardrobe or home furnishings. Wedding décor items are no different. The more unique an item, the more personal and memorable the impact it will make on the overall look. So, it’s become a weekly habit to tour a few of my favorite stores to check out their newest displays and décor items. One of my most favorite stomping grounds is the Z Gallerie. I love their choice of colors; bold and chic. Their designs continually hit the cutting edge of trends without being over the top, while avoiding fads. On my recent visit, I came across a few items that were to die for! 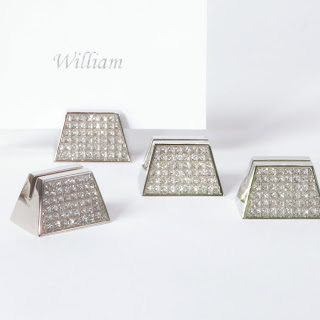 If you are a lover of bling, you must check out their selection of crystal embedded place card holders, votives and salt & pepper shakers. 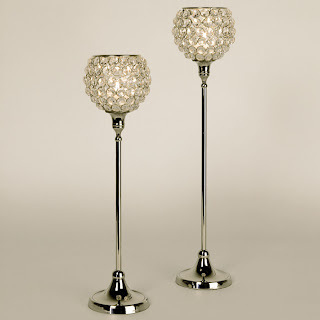 They would add a chic elegance to an evening affair. For those who are looking for bold colors or items with a touch of exotic flair for a tropical destination wedding or a summer event, you must consider the following items.